One of the most important things that a business owner needs to be able to do is negotiate. Whether it is for products or services, proper negotiating skills will directly effect the success of your business. Often you need to negotiate your best prices for wholesale merchandise for your store. Other times negotiate your rent or overhead expenses. In our capacity as small business advisors, we are often asked by our clients to help with negotiations on their behalf. If you are sales professional or a small business owner, negotiation is the key to your initial success and it’s a skill worth honing. Negotiation is a deal between two or more parties to reach an agreement to settle a matter of mutual concern or resolve a conflict without causing any future barriers. For small business owners, it’s an essential for running their business. Negotiation is an interactive communication process between two parties mostly related to a sale or transfer type of transaction. Before doing negotiation, prepared yourself with clear ideas of what you want from other party. Do some research on other party’s financial market, study market share and identify their pain points and desired goals. Initiating a effective negotiation means to be able to express your needs and thoughts clearly to other party. You will be in a strong position if you can highlight some specific statistics as to know how the other party can get benefits by accepting your terms or number of other companies competing on same space. Negotiation has to be win-win situation for both the parties. You can’t have everything with you, so recognize your areas of interest and possible compromises in favor of things which make you comfortable. 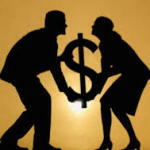 If you are compromising in a deal then make sure you end up squeezing something in your favour as part of bargain. Activate your mindset with give and take policy i.e. when you give up something, you get something in return. If you are using a vendor relationship management system, to register it would be easy for you to analyze Analyzing other party’s past performance to predict their interest level and how they deal with others. For eg – the other party desired horizon of deal is for a year while you are looking for a shorter term engagement, you can use the duration to bargain against the cost. Another example could be that other party provides some services free that you may not require, in such case, you may barter the non value adding services with services are important for you. Often in negotiations, there are alternative options offered by both parties back and forth as the discussions progress. Objective to make the vendor agree to you offer. You should not accept or reject the first offer irrespective of whether your needs are fulfilled or not. Ask for alternatives that will make best deal and increase both party’s interest level and satisfaction. 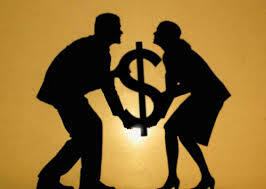 More contented partners are likely to put better efforts while fulfilling the deal and result in longer association. Negotiation is a skill that every small business owner needs to have some savvy in. There are many cases where Forum Business Advisors has been called in on behalf of our client to assist in skillful negotiations on everything from leases, vendor terms and sales team deals. Does Your Business Need Liability Insurance? Join our mailing list and receive newsletters, promotion and specials notices.